This is the first post in a series about improving my computer room to serve as a full-time office. Big news! I was laid off yesterday. It was not a surprise at all, no hard feelings, the company I used to work for was bought by a company a year ago that has struggled to turn a profit on their purchase. A ton of talented, hard-working people were let go. My former employer’s loss is every competitor’s gain! To celebrate and welcome this change, I am going to give the computer room a major update. 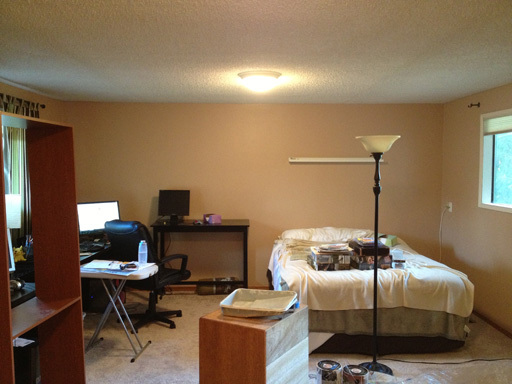 The computer room was hastily painted and set up during our late 2010 move. 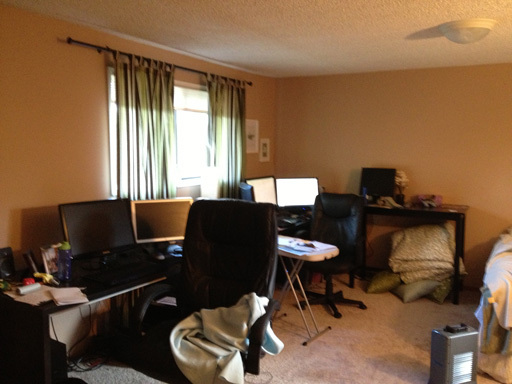 Not much thought was given to how to best utilize the space and we used the same workstation equipment we used in our apartment (and before that, our Illinois house). 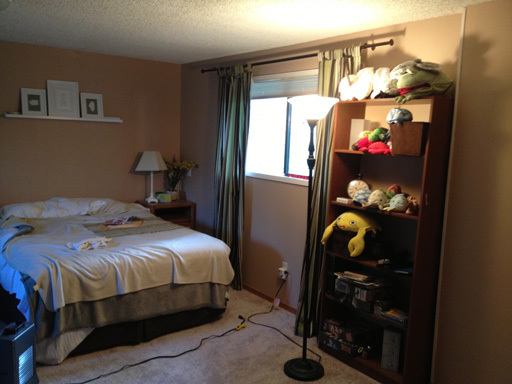 Two years later, though, we have a better idea of how we use the room. 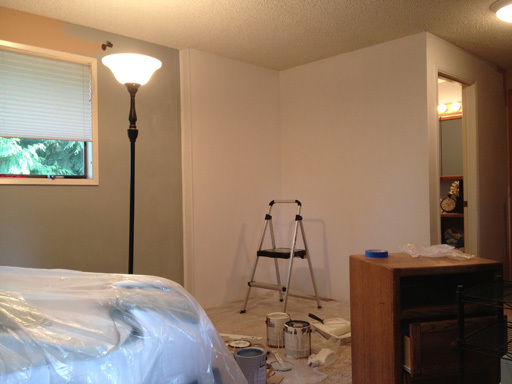 Day 1 Progress: Three walls painted grey and white. The white corner will be useful for taking photos of things for my websites. 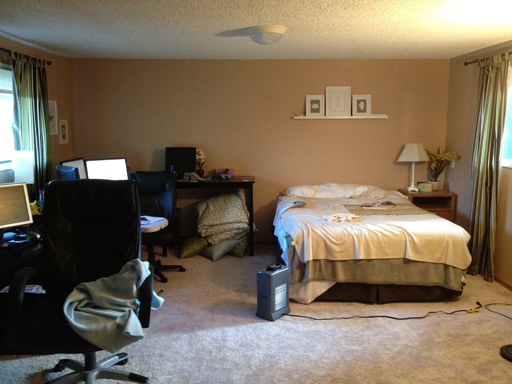 Check out Day 2, where I plan the new furniture arrangement and continue painting walls.